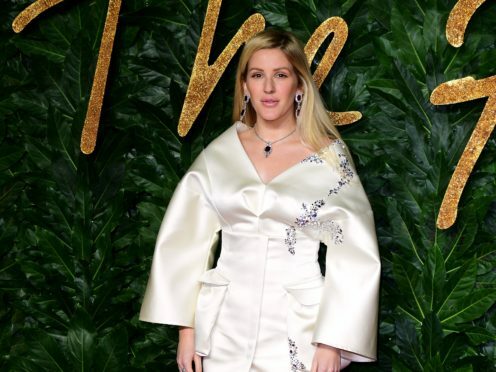 Ellie Goulding has urged people to interact with the homeless so they do not feel “ignored”, and has also called for the Government to put more effort into helping to ease the crisis. 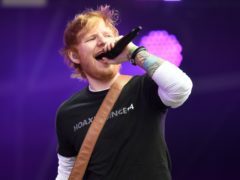 The singer, who has supported homeless charity Crisis for several years, visited one of its centres in London on Sunday. She said that “the interaction is such an important thing” for people who are homeless, and that the Christmas period is when many feel “the most vulnerable and lonely”. Crisis estimates that more than 170,000 families and individuals in the UK are experiencing the worst forms of homelessness, including people living on the streets, those who sofa-surf and sleep in cars and on public transport. The organisation said it expects more than 4,500 homeless people to visit its 15 Crisis at Christmas centres across the country over the festive period. Goulding told Sky News: “If you see someone on the street that’s cold, anything you can offer them, an umbrella or a blanket or coat, but just that exchange and taking the time to stop and talk to someone, ask their name – sometimes they might not want to talk but if they do, do that. More than 170,000 families & individuals across Britain are experiencing the worst forms of homelessness. She said she had seen videos that were an “absolute disgrace” of homeless people being taunted and abused by revellers on nights out. Goulding added: “We need to be more conscious of that person being a human being. Help each other and be more compassionate. If I can teach my fans and younger people that, I think it can be a nicer place. “Donations help, you can apply to volunteer for next year and I think just being conscious and knowing that it’s a problem, a problem on the rise, and spreading that awareness and talking about it. “I think sometimes it’s a problem people have to ignore, it’s so horrible to see and so sad. The Love Me Like You Do singer, who volunteered at Crisis’ Christmas appeals in 2015 and 2016, said “there is a real misconception around homelessness”. She said there was “still a stigma, that people have brought it on themselves – it’s not true”. “It’s only a couple of mortgage payments or a broken down marriage for your life to turn around for the worst,” she added. Communities Secretary James Brokenshire said: “No one is meant to spend their lives on the streets, or without a home to call their own. “That’s why we are investing £1.2 billion to tackle homelessness and have bold plans backed by £100 million to halve rough sleeping by 2022 and end it by 2027.